This is just one of many every day scenes of atmospheric New York in rain. I love the way traffic lights of the busy city are reflecting in the wet road surface and I find it really beautiful and charming. I created this painting using layers of bold acrylic paint applied with various palette knives to achieve highly textured impressionistic piece. Colours I chose are mainly different shades of green, blue, and yellow with accents of vibrant orange and purple. City of Canals, 80cm x 60cm, Original palette knife painting created in 2014. 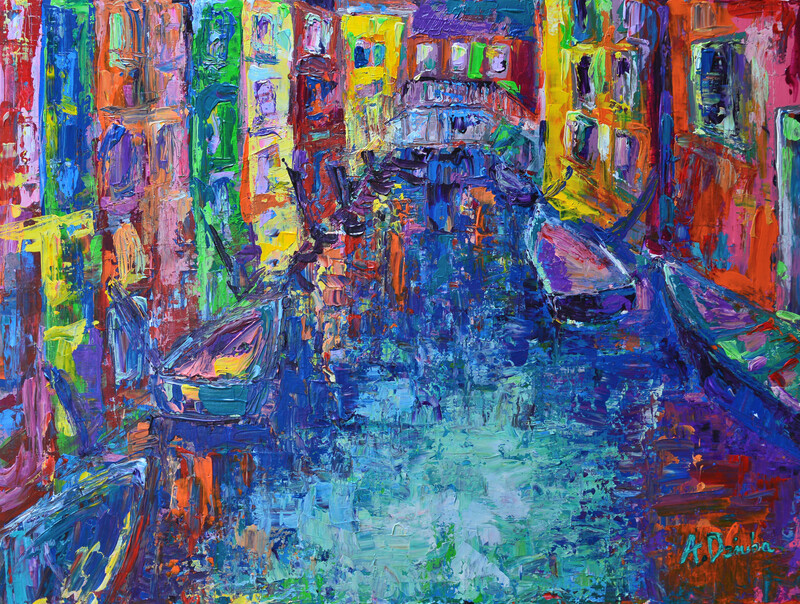 This artwork is inspired by beautiful and vibrant Venice with its colorful houses and boats. I created this painting with many layers of acrylic paint applied with various palette knives. I find playing with colour and texture a very exciting process. Three of my original paintings have been included in The Shards Art Exhibition, 5th – 31st August, BIC, Bournemouth. “Pink Sky”is one of them!! Shards Art Exhibition Launch Party this Wednesday 7:30 pm, 5th August. It would be great to see you there! 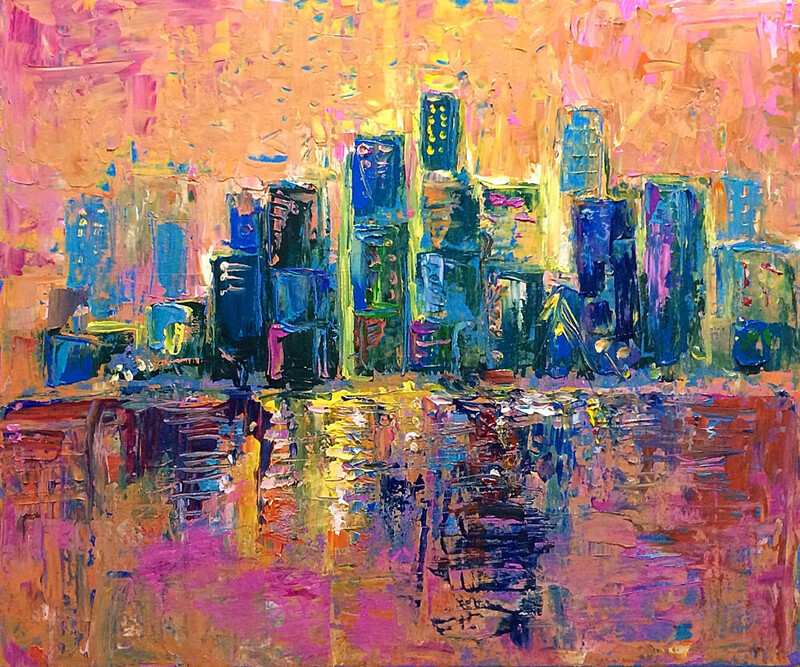 Medium: Acrylic on Canvas created with palette knives in 2014.